Dear QB: As a high school senior, what do I need to know about the FAFSA? FAFSA season opens on October 1 each year! If you’re applying to college through the National College Match, you may be wondering what this means for you. Many of our college partners require the FAFSA as a College Match and/or Regular Decision Application Requirement, so we’re here to help answer your questions. Let’s get started! This month we’re featuring posts from Quest Scholars who have learned (or are learning!) savvy spending tips for college, including searching for outside scholarships and financial aid tips. Keep reading and stay tuned for more! Jokes about the perpetually broke financial state of college students and the inundation of memes on the internet about the emptiness of student wallets plague our generation’s perception of college. Yes, college is expensive. But colleges are, to many people’s surprise, taking steps to help low-income students. January is a good time to plan ahead for education-related expenses in the coming months. Quest Scholar Alum Victoria Turner shares her first-hand experience finding the best outside funding options available for students. Make sure you check with your financial aid office to see how outside funds can be applied to your financial aid package. The aid package you receive from the financial aid office can determine whether you attend a school. There’s nothing more heartbreaking than receiving an acceptance to a college you love when the accompanying aid letter doesn’t match what you need. Luckily, financial aid officers and organizations like QuestBridge work hard to fund you. If you’ve sent out your very best applications, just sit back and cross your fingers, toes, and any other crossable appendages while you wait for letters. Dear QB: As a QuestBridge Finalist, how can I save money during Regular Decision? In case you don’t already know, applying to college is expensive. But don’t be alarmed! There are many ways for QuestBridge Finalists to cut these expenses down when applying to our partner colleges. Below, we talk about each in detail. The application fee at each of our partner colleges is waived for Finalists. This is easily the largest expense in applying to college, and it’s already been taken care of for you! This is a post from Guest Blogger Lindsay Konsko from NerdScholar. Photo from Nerd Scholar. There’s no doubt about it: College is more than just textbooks, term papers and cramming for exams. Four years away from home and family also means learning how to function independently in the adult world. As Quest Scholars, you are in a unique position to graduate from college with no, or very little, debt. You should use this time to set yourself up for a stable financial position before entering the real world. A big part of this is credit and credit cards – which can be very confusing. Don’t worry; we’re here to help! Take a look at the details below – you’ll be ready to get started with credit in no time. The answer to this question is both simple and complicated. The short answer is that a credit card is one of the easiest ways to start building a good credit score. But the importance of your credit score is where the short answer starts to turn long. Basically, your credit score is a 3-digit number that banks look at when they’re deciding whether or not to lend you money. Actually, it’s not just banks – your future landlord, insurance agent and utility providers will also be checking your score. This is why creating and maintaining good credit is essential! Credit scores range from 300-850, with a higher score being better. By using a credit card responsibly (we’ll talk about that in a minute), you’ll be helping your credit score climb. This will make it easier to rent an apartment, borrow money for a car and score a good rate on your insurance policies after you’ve graduated. Applying for a credit card is pretty easy. You might want to start off with a student credit card — you can use the tool provided in the link to take a look at your options. When you’ve found one that appeals to you, simply fill out the online application. Then, it’s just a matter of waiting to hear back from the issuer. There is one thing to keep in mind: After the 2008 financial crisis, the government enacted a series of regulations aimed at protecting young adults from getting into trouble with credit cards. One of the rules is that people under the age of 21 who don’t make a substantial income need to have a cosigner in order to get a card. A cosigner is someone who agrees to make payments on your card if you can’t or won’t. This person must be over 21, make a steady income, and have a good credit score. For some students, a parent serves as the cosigner on his or her first credit card. What if I don’t have a parent who can serve as a cosigner? Ask another financially qualified adult in your life to step in. Your cosigner doesn’t have to be your mom or dad. If a financially qualified adult in your life isn’t comfortable with cosigning, ask to become an authorized user on his or her card. You’ll get your own card and have the opportunity to build credit, but the primary user will still have control over the account. If you’re working full time while going to school, try applying on your own. You might make a high enough income to qualify without a cosigner. If your parent is willing to cosign, but doesn’t have great credit, think about applying for a secured credit card. You’ll have to put down a deposit to get the card, but these cards tend to be easier to qualify for. 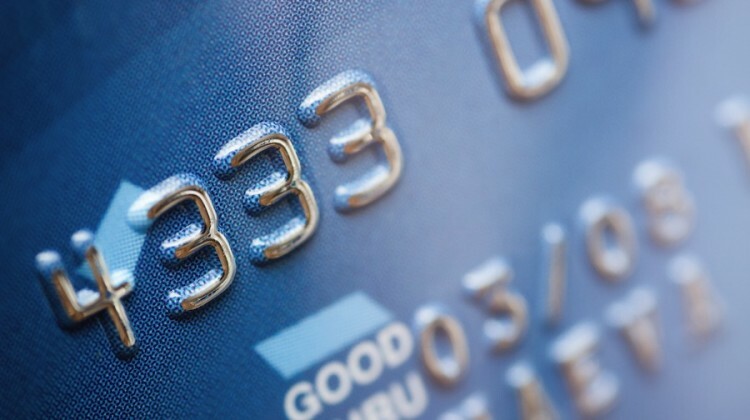 Just be sure you’re getting a secured credit card, not a prepaid debit card – debit cards don’t help you build credit. Is it OK to use a credit card for all my spending? This way, you’ll be building a good credit score and avoiding costly interest charges. Win-win! I’m worried that I’ll get into debt – how can I avoid this? Credit card debt is a huge financial burden. Since most credit cards charge double-digit interest rates, carrying a balance from month to month will get expensive fast. It can take some people years to get out of debt once they’ve gotten into it. Plus, maxing out your credit card will hurt your credit score. But the good news is that credit card debt is avoidable. Many college students (and some adults) look at their credit cards as “free money” or extra income, and overspend accordingly. Instead, view your credit card as a tool for paying for your things. And treat the bill as one that has to be paid in full every month, just like all your rent, utilities or anything else. Also, take advantage of the online banking features your credit card issuer will likely offer. You can log in any time and check your current balance – this is a good way to keep tabs on your spending and will help ensure that you don’t charge more in one month than you can afford to pay off in full when the bill arrives. Consequently, you won’t have to worry about getting into debt!